The chat app’s shares have bounced around since its 2016 IPO as user growth proves elusive. 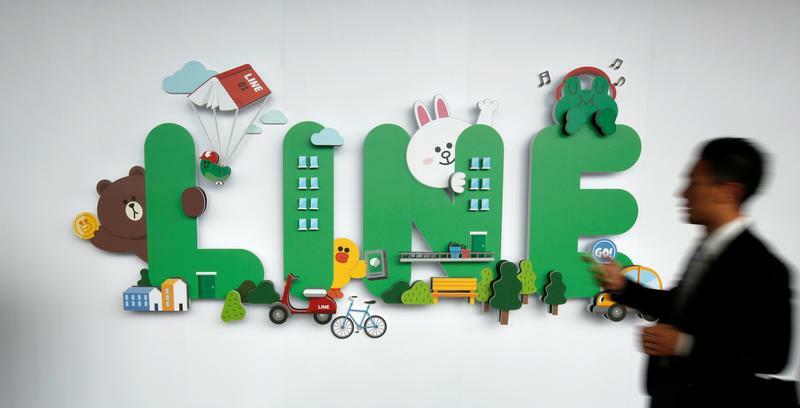 Line bumbled its way from ride-hailing to music-streaming, and is now aiming at fintech. It’s a promising market, but trading at over 100 times earnings leaves little room for error. Line Corp, Japan’s top messaging app, is forecast to report quarterly revenue on July 25 of 50 billion yen ($451 million), a 25 percent increase from the same period last year, according to the average estimate polled by analysts on Thomson Reuters Eikon. Earnings in the three months to June are expected to fall 83 percent year on year to 1 billion yen. In May, the company and Nomura, Japan’s top brokerage and investment banking group, announced a joint venture, Line Securities, through which the bank will offer brokerage services and investment advice to Line users on the messaging app. Shares of Line closed on July 23 at 5,060 yen each, and are up about 10 percent since the start of the year. SoftBank plans to start a mobile digital payments service in Japan by the end of 2018, Bloomberg reported on July 23, citing unnamed sources.